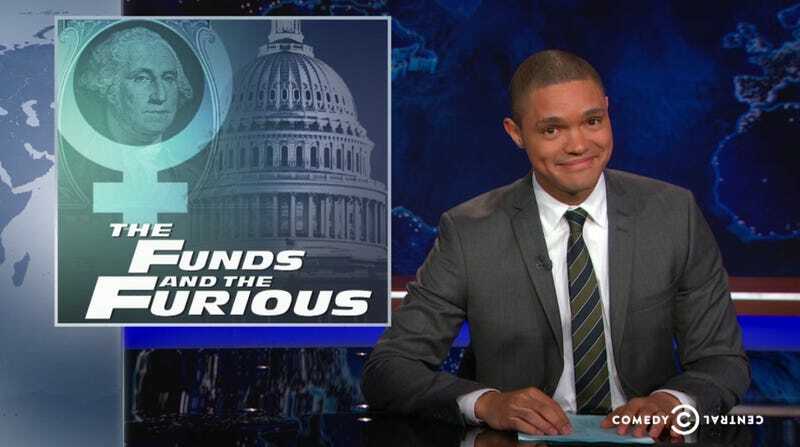 On Monday night, The Daily Show host Trevor Noah parsed how far-right Republicans are simultaneously pro-life and pro-guns. How can one be so upset about when life begins but so blasé about when it ends by doing little to restrict access to dangerous weapons? It boggles the mind! Take Republican presidential hopeful Carly Fiorina and House Speaker hopeful Rep. Jason Chaffetz speaking against, and accidentally for, Planned Parenthood recently—they are all worked up on the basis of doctored anti-abortion videos. These videos have been proven to be tampered with and do not show what they intended to, that Planned Parenthood sells fetal tissue for profit. But staunch pro-lifers like Fiorina and Chaffetz don’t care!